This finely detailed and one of a kind shadow box is the “piece de resistance” for the upcoming Fourth Corner Fly Fisher’s Conservation Auction on October 29th. 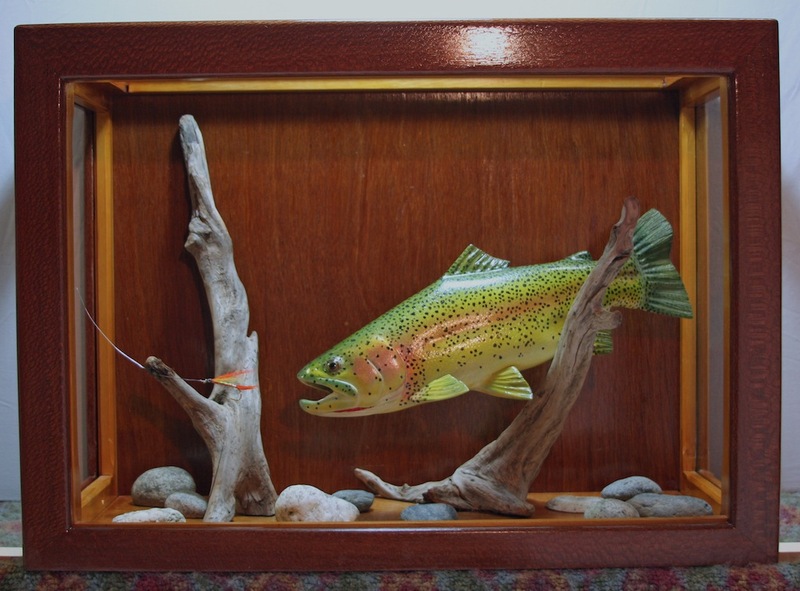 The cutthroat trout was meticulously carved from wood and painted by local artist Jameson Hawn. 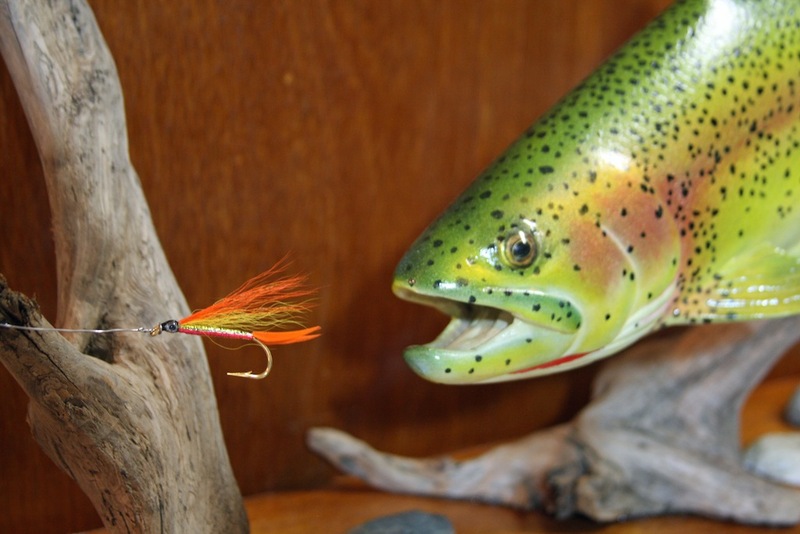 Wood-worker Pete Lamb built the display box and master fly tier Jack Salstrom created the Ralph Wahl Painted Lady fly that the trout zealously pursues. Jameson’s cutthroat shadow box will appear on eBay following the Conservation Auction and may be purchased to raise funds for the fly club’s efforts in restoring habitat and protecting wild fish throughout the Northwest. There are a ton of great items available at the auction from hand-tied flies and boxes, trips, rods, reels and much more. Visit the 4CFF Auction Website for a complete listing of auction items. Tickets are still available and you need not be a member of the club to attend. Click here to purchase tickets for the auction and dinner or raffle tickets for the event. We currently have the cutthroat on display at the Confluence Fly Shop. Tagged conservation, cutthroat, fourth corner fly fishers, jameson hawn.